Milt likes to help out here and there, basically wherever he can. I was a little surprised that he snuggled up with all the clean laundry. He generally prefers smellier, messier things. We couldn't ask for a better little helper...! Hello readers! My name is Heidi, and my husband, Jeff, and I are the proud new owners of a goldendoodle puppy, Milton. On this blog, I will chronicle the first memorable year of life with puppy - potty training, feeding habits, sleeping schedules, and welcoming him into our home. 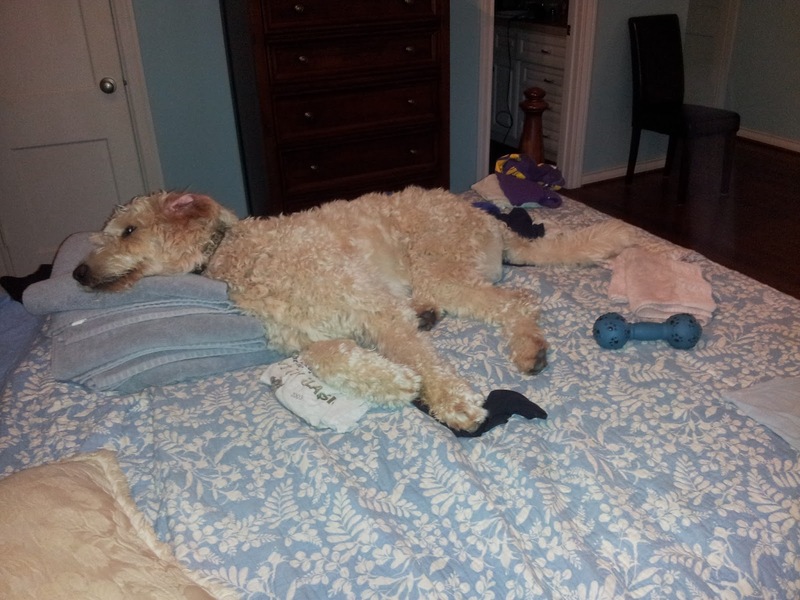 I want readers with dogs, particularly goldendoodles, to identify with our trials and victories. For those without dogs, this is a first hand account of what the experience is truly like. Happy reading!